More energy, more breathability, less weight. 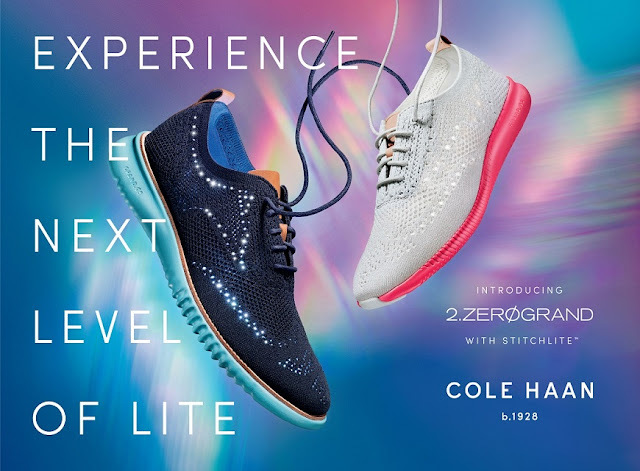 Cole Haan, the iconic American lifestyle brand and retailer of premium men’s and women’s footwear and accessories, is pleased to announce the lightweight and extraordinary 2.ZERØGRAND with Stitchlite™ Spring 2018 collection. With spring on the horizon, Cole Haan is introducing innovative Stitchlite technology across a range of products that suit men and women alike. The 2.ZERØGRAND with Stitchlite™ collection is a remarkably lightweight, breathable, and cushioned take on the standard oxford. The stitch design promotes airflow and cooling, while the Grand.ØS energy foam delivers targeted cushioning. In the Spring 18 Campaign, the men’s and women’s 2.ZERØGRAND with Stitchlite™ Oxfords float effortlessly in the air as rays of colored light shine through the open stitch. The light-infused bright colors, coupled with the this next-level iteration of Stitchlite technology, results in an uplifting, energizing visual expression that’s perfect for 2018. Additionally, the Spring 2018 collection also features the GRANDPRØ Tennis Sneaker with Stitchlite™. 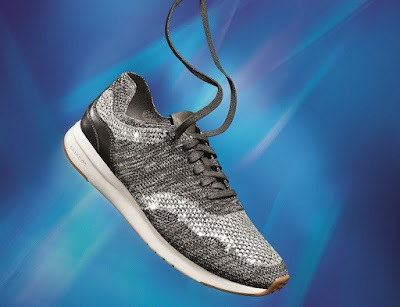 This sneaker eliminated all of the unnecessary weight of traditional court shoes without sacrificing the Grand.ØS principles of flexibility, cushioning, and ergonomics. The GRANDPRØ Tennis Sneaker with Stitchlite is a shockingly light shoe you have to feel to believe. The Men’s GRANDPRØ with Stitchlite™ Running Sneaker features stitching that delivers dramatic advancements in lightness and breathability. Grand.ØS innovation grips and comforts every bold step and stride. 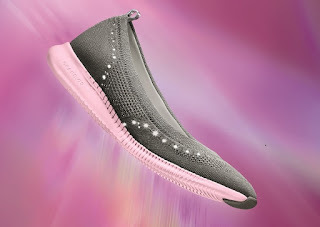 Featuring a design that promotes airflow, the 2.ZERØGRAND Ballet with Stitchlite™ breathe deep and keep cool. The signature Grand.ØS energy foam footbed provides next-level cushioning. Thoughtfully lightweight and cushioned, the Women’s GRANDPRØ Spectator Slip-On Sneaker makes it easy to go the distance. With the Grand.ØS rubber outsole and woven suede upper in leather trim, the sneaker is built to comfort your every move. Cole Haan is represented by Beawmont Distributions, Inc. (BDI), the exclusive distributor of Cole Haan products in the Philippines. 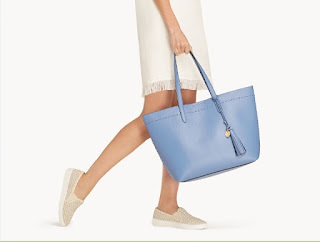 Cole Haan LLC, with its Global Headquarters in Greenland, New Hampshire and Creative Center in New York City is an iconic American lifestyle accessories brand and retailer of premium men’s and women’s footwear, handbags, leather, accessories, outwear and eyewear. Cole Haan stands for its commitment to craftsmanship, timeless style and design innovation. For more information, visit ColeHaan.com and follow @ColeHaan.